Yes, you read that correctly. In order to succeed at anything you need to make mistakes. This is especially true when learning a new language. Trust me on this. I know from experience! Everyone who has ever learned a language has made mistakes while learning. This means even the most knowledgeable, educated, bilingual people have at some point made mistakes while learning English. If the smartest people have done it, then you need to let yourself make them too! One of the students asked me what that was. I replied, “Oh, it’s a sandwich with jabón.” I then went on to say how much I liked jabón sandwiches especially with queso, feeling confident with my Spanish. Well, as you can imagine, the class starts smiling and chuckling. I ask what’s so funny, and one of the students very politely explains that I probably mean jamón and explains that I just said that I like soap sandwiches. Ooooooops! With a face red from embarrassment, I nod my head, um… yes, that’s what I mean! Of course, the key is to learn from your mistakes. I needed to make the mistake with my vocabulary in order to learn the words. It’s important to examine your error, and try to understand why you made it. Were you speaking too quickly? Or maybe you confused similar sounding words (like me!) It’s easy to make mistakes, but thinking about why you made the mistake will help you learn from it. When you make mistakes it’s actually a good thing because it shows you are learning. Learning English is a process, and making mistakes is just a part of the process. Embrace your mistakes! Nobody is perfect. 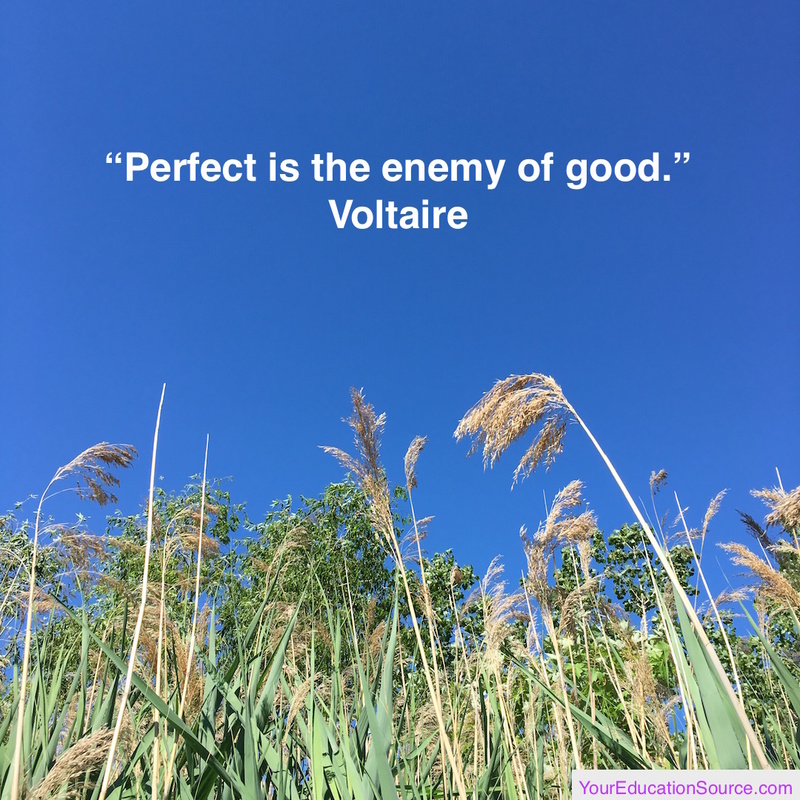 🙂 And like Voltaire said, “Perfect is the enemy of good.” Don’t let perfection stop you from learning. What happens after you make a mistake? Guess what? It’s not the end of the world, and no one is going to think badly about you. You just keep on going, and learn from your mistakes. It’s completely natural and absolutely normal to make mistakes when learning English. So, go on, speak more and write more in English, and if you make an error… know that you’re doing it right! Are you worried about making mistakes in English? What do you do to overcome your fear? Leave a comment and let me know! Sí, lo has leído correctamente. Para tener éxito en cualquier cosa, necesitas para cometer errores. Esto es especialmente cierto cuando se aprende un nuevo idioma. Confía en mí en esto. ¡Sé por experiencia! Todos los que han aprendido un idioma han cometido errores mientras aprenden. Esto significa que hasta las personas bilingües más conocedoras y educadas han cometido en algún momento errores al aprender inglés. Si las personas más inteligentes lo han hecho, entonces necesitas dejarte hacer ellos también! Uno de los estudiantes me preguntó qué era eso. Le respondí, “Oh, es un sándwich con jabón.” Entonces dije lo mucho que me gustó sandwiches de jabón especialmente con queso. Pues, como te puedes imaginar, la clase comienza a sonreír y riendo. Les pregunto qué es tan divertido, y uno de los estudiantes muy educadamente explica que probablemente me refiero a jamón y explica que acabo de decir que me gustan los sandwiches de jabón. Ooooooops! Con una cara roja de vergüenza, asiento con la cabeza, um… ¡sí, eso es lo que quiero decir! Por supuesto, la clave es aprender de tus errores. Necesitaba hacer el error con mi vocabulario para aprender las palabras. Es importante examinar tu error, y trata de entender por qué lo hizo. ¿Hablabas rápidamente? O tal vez confundir palabras similares de sonido (¡como yo!) Es fácil cometer errores, pero piensa en por qué cometiste el error te ayudará a aprender de ello. Cuando cometes errores es realmente una buena cosa porque muestra que estás aprendiendo. Aprender inglés es un proceso, y cometer errores es sólo una parte del proceso. ¡Acoja tus errores! Nadie es perfecto. 🙂 Y como decía Voltaire: “Lo perfecto es enemigo de lo bueno.” No dejes que la perfección te impide aprender. ¿Qué pasa después de cometer un error? ¿Sabes qué? No es el fin del mundo, y nadie va a pensar mal de ti. Simplemente continúas y aprenda de tus errores. Es completamente natural y absolutamente normal cometer errores al aprender inglés. Así que, ve a hablar más y escribir más en inglés, y si comete un error…¡sepas que lo está haciendo bien! ¿Te preocupas cometer errores en inglés? ¿Qué haces para superar tu miedo? ¡Deja un comentario y avísame! “Mistakes are Needed” is an excellent article. It encourages the learner to make mistakes while learning. Your story helps the student except mistakes as part of the process of learning. Perhaps one of the funniest mistakes happened while I was a tutor in an ESL class. A Japanese student was telling the class that she and her husband were looking for a place to live. She very politely asked the realistate agent that they wanted to see a condum rather than a condominium. The whole class room filled with laughter. There were no hard feelings. Mistakes are just a part of learning. I’m monolingual and I make mistakes in speaking English. You need to have fun when learning English, and your story shows that to be true! It’s not easy when you’re learning and you know you’re making mistakes, but mistakes do help you improve.